In Model Driven Engineering (MDE) approaches, metamodelers usually need to create a metamodel based on existing metamodels, where each one abstracts a specific domain, in order to abstract a new domain, which includes elements that could be taken from the other already created metamodels. This kind of constructions allows getting advantage of the knowledge obtained in the construction of the previous built metamodels. This paper presents a proposal to solve metamodel composition through a Domain Specific Language (DSL). This DSL is used by metamodelers, who are the people that know the domains abstracted by the different metamodels and know how to combine those metamodels in order to generate the new one. Moreover, a simple case study is presented so as to demonstrate the low level of complexity of the DSL. En enfoques de ingeniería basada en modelos (MDE), los metamodeladores usualmente tienen que crear un metamodelo basado en metamodelos existentes, en donde cada uno abstrae un dominio específico con el fin de abstraer un nuevo dominio, que incluye los elementos que se podrían tomar de los otros metamodelos ya creados. Este tipo de construcciones permite obtener ventaja de los conocimientos obtenidos en la construcción de los metamodelos previamente construidos. En este trabajo se presenta una propuesta para resolver la composición de metamodelos a través de un lenguaje de dominio específico (DSL). Este DSL es utilizado por metamodeladores, que son las personas que conocen los dominios abstraídos por los diferentes metamodelos y saben cómo combinar los metamodelos para generar uno nuevo. Además, se presenta un caso de estudio simple con el fin de demostrar el bajo nivel de complejidad del DSL. Electronic Engineer, Computer Science Engineer, Specialist in Management, Magister in Information and Communication Sciences, Magister in Management, Doctor candidate in Engineering. 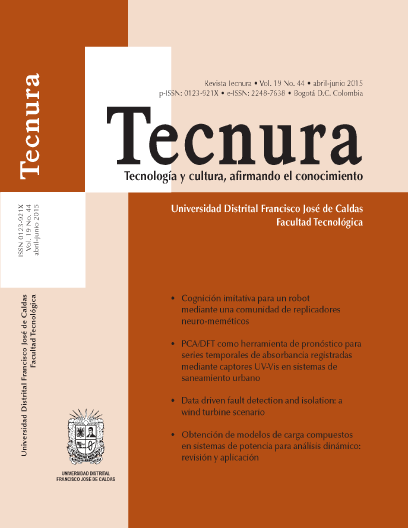 Assistant professor in the Universidad Distrital Francisco José de Caldas, Bogotá. A. Ledeczi, G. Nordstrom, G. Karsai, P. Volgyesi, and M. Maroti (2001). On metamodel composition. Control Applications,. (CCA '01). Proceedings of the 2001 IEEE International Conference on, pp. 756-760. G. Karsai, M. Maroti, A. Ledeczi, J. Gray, and J. Sztipanovits (2004). Composition and cloning in modeling and meta-modeling. Control Systems Technology, IEEE Transactions on, vol. 12, pp. 263-278. H. Florez (2012). Model Transformation Chains as Strategy for Software Development Projects. The 3rd International Multi-Conference on Complexity, Informatics and Cybernetics: IMCIC 2012. J. Bézivin (2005). On the unification power of models. Software and Systems Modeling, vol. 4, pp. 171-188. J. Henriksson, F. Heidenreich, J. Johannes, S. Zschaler, and U. Assmann (2008). Extending grammars and metamodels for reuse: the Reuseware approach. Software, IET, vol. 2, pp. 165-184. J. Oldevik, L. Kutvonen, and N. Alonistioti (2005). Transformation Composition Modelling Framework. Distributed Applications and Interoperable Systems. vol. 3543, ed: Springer Berlin / Heidelberg, pp. 1135-1136. M. Emerson and J. Sztipanovits (2006). Techniques for Metamodel Composition. Computer Science and Information Systems Reports, pp. 123-139. M. Herrmannsdoerfer, D. Ratiu, and G. Wachsmuth (2010). Language Evolution in Practice: The History of GMF. Software Language Engineering. vol. 5969, ed: Springer Berlin / Heidelberg, pp. 3-22. P.A. Muller, F.; Fondement, B. Baudry, and B. Combemale (2009). Modeling modeling modeling. Software and Systems Modeling, pp. 1-13. R. France, F. Fleurey, R. Reddy, B. Baudry, and S. Ghosh (2007). Providing Support for Model Composition in Metamodels. Enterprise Distributed Object Computing Conference, 2007. EDOC 2007. 11th IEEE International, pp. 253-253.